Earlier this year Lister launched the Lister Knobbly Stirling Moss at an exclusive event in London’s RAC. The Limited run of 10 special edition cars each feature a magnesium body and special lightweight specification, an exact recreation of the Lister Knobbly as raced by Sir Stirling Moss in the 1950’s. The 10 Limited edition Stirling Moss cars celebrate Moss racing for Brain Lister in the 1950’s. While some original Lister Knobblys are still campaigned in historic racing, none of the original ‘works’ cars survive, making this limited run an incredible opportunity for collectors and Lister enthusiasts. To celebrate the launch, The Lister Motor Company will be exhibiting the Lister Knobbly Stirling Moss at USA’s most renowned and prestigious event, the Inn at Spanish Bay, Pebble Beach Concours D’Elegance on Saturday 20th August at 9.30 AM PDT. Your host for this event will be Alain de Cadenet and the VIP guest of honour will be legendary racing driver Sir Stirling Moss. The Pebble Beach Concours D’Elegance has established itself as a well-curated marketplace for the true automotive enthusiast, showcasing rare collectables, historic automobilia and features luminaries of the automotive world discussing the most pertinent topics facing the collector car world today. Making it the perfect setting to launch the Lister Knobbly Stirling Moss in the USA! 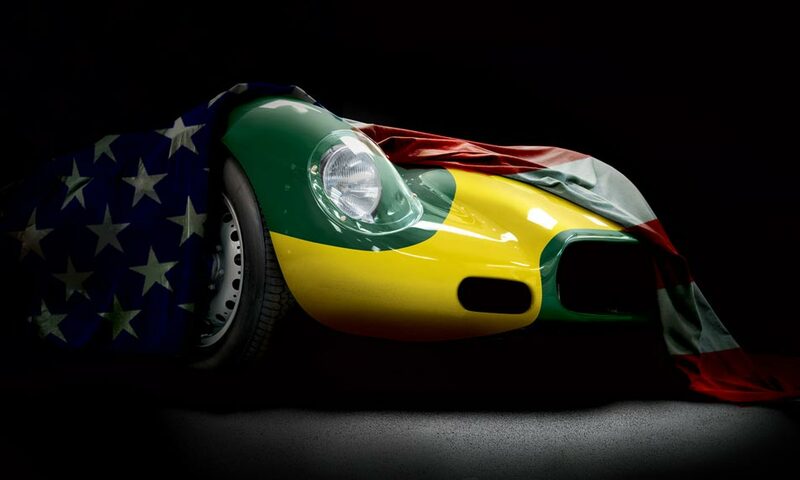 Lister enthusiasts are invited to join us and view the Lister Knobbly Stirling Moss on display and hear about our future plans for the US market.